Dr. Irfan Dhalla is Health Quality Ontario’s Vice President, Health System Performance. The Health System Performance branch supports transparency, accountability and improvement in Ontario’s health care system by monitoring and reporting on health system performance. Dr. Dhalla continues to practice general internal medicine at St. Michael’s Hospital, where he cares for inpatients and teaches medical students and residents. He is also an Assistant Professor in the Department of Medicine at the University of Toronto, with a cross-appointment to the Institute of Health Policy, Management and Evaluation. Prior to joining HQO, he served as Medical Director, Quality and Research at St. Michael’s Hospital. Dr. Dhalla continues to hold an Associate Scientist appointment at the Li Ka Shing Knowledge Institute of St. Michael’s Hospital and an Adjunct Scientist appointment at the Institute for Clinical Evaluative Sciences. His research has been recognized with several national awards, including a Rising Star Award and a New Investigator Award from the Canadian Institutes of Health Research, as well as a New Investigator Award from the Canadian Society of Internal Medicine. Dr. Dhalla holds a Bachelor of Applied Science in Engineering Physics from the University of British Columbia, a Doctor of Medicine from the University of Toronto and a Master of Science in Health Policy, Planning and Financing from the London School of Economics, which he completed as a Commonwealth Scholar. Dr. Stephen G. Gelfand practiced rheumatology for over 40 years, and came out of semi-retirement last year to teach and practice rheumatology in Myrtle Beach, SC. A graduate of Albany Medical College of Union University in Albany, N.Y. he trained in Internal Medicine at Long Island Jewish Medical Center and Queens General Hospital in New York City, and in Rheumatology at the University of Tennessee Medical Center in Memphis. He served with the U.S.Army as major and Chief Internist at Redstone Arsenal, Ala. American board-certified in Internal Medicine and Rheumatology, he is also a Fellow of the American College of Physicians and American College of Rheumatology. Before moving to the rural South where he practiced rheumatology for the last 15 years, Dr. Gelfand spent almost 20 years practicing rheumatology and internal medicine in Southern California, during which time he established the first rheumatology practice in the City of Anaheim, spent three years with Kaiser-Permanente, and served as Director of Rheumatology at both the White Memorial Medical Center and CIGNA Healthplan in Los Angeles. He has been on the teaching faculties of the University of California School of Medicine, Irvine, Loma Linda University School of Medicine, and the University of Illinois School of Medicine at Peoria. Public and physician education has always been a major priority of Dr. Gelfand, who over the years has given numerous lectures and written many articles on arthritis and related rheumatic disorders, while actively promoting multidisciplinary treatment strategies and the Arthritis Foundation’s self-management programs to improve patient care, well beyond the benefit of medications alone. Over the last 6 years, he has also served as a national independent disability peer-reviewer in rheumatology and has done numerous medical record case reviews of rheumatologists throughout the nation. His published articles, case reports, letters and commentaries have appeared in popular medical journals, magazines and internet publications such as the Annals of Internal Medicine, The Rheumatologist, PainMedicine News, Arthritis & Rheumatism, Arthritis Care & Research, The Journal of Rheumatology and Medscape Rheumatology. Over the last 10 years, he has written about the pitfalls and consequences occurring from the over-marketing and over-prescribing of opioid analgesics for chronic noncancer pain, as well alternative beneficial non-narcotic therapies incorporating mind/body principles. This issue has become his major interest, especially after coming in contact with many of the dedicated individuals of this group, most of whom have experienced personal tragedies related to prescription opioids. This has provided the major drive and motivation to continue to educate both physicians and the public, with the goal of eventually reducing the mounting toll of opioid-related addiction, overdose and death which has become a true public health crisis. Dr. Gelfand now teaches rheumatology to the new HCA Grand Strand Medical Residency Programs in Myrtle Beach, SC. The Opioid Epidemic has been a major part of Dr. Gelfand’s curriculum. Dr. Juurlink is a staff internist and head of the division of Clinical Pharmacology and Toxicology at Sunnybrook Health Sciences Centre in Toronto. He is also a medical toxicologist at the Ontario Poison Centre at the Hospital for Sick Children and a scientist at the Institute for Clinical Evaluative Sciences. He received degrees in Pharmacy (1990) and Medicine (1994) from Dalhousie University in Halifax, Nova Scotia, and completed postgraduate training in Internal Medicine (1998) followed by residency in Clinical Pharmacology (2000), a fellowship in Medical Toxicology (2002), and a PhD in Clinical Epidemiology (2003), all at the University of Toronto. He has received certification from the American Board of Internal Medicine, the American Board of Emergency Medicine (Medical Toxicology), and the American Board of Clinical Pharmacology. He is presently the Sunnybrook site director for the program in Clinical Pharmacology & Toxicology and is actively involved with the Royal College of Physicians and Surgeons subspecialty program in Clinical Pharmacology and Toxicology as a member of the Nucleus committee and Vice Chair of the Examinations committee. In addition to his clinical, teaching, and administrative activities, Dr. Juurlink maintains an active research program in the field of drug safety. His areas of particular interest include drug safety, adverse drug events, the consequences of drug-drug interactions in clinical practice, and the epidemiology of suicide and deliberate self-poisoning. 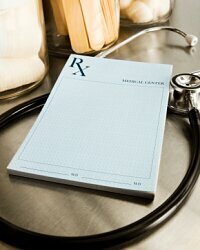 Well-intended prescribing by physicians can often have unintended consequences for patients. This is sometimes because the patients in real-world clinical practice are less healthy (or less closely monitored) than those enrolled in the premarketing studies used to characterize drug safety and effectiveness. However, some drug-related side effects are sufficiently uncommon that they only become apparent after a drug has enjoyed widespread use by large numbers of patients. Dr. Juurlink’s research explores the epidemiology of adverse drug events using anonymized population-based health care data to explore the complex interrelationships between drug therapy and harm. One of his primary interests is the clinical consequences of drug-drug interactions, which typify avoidable drug-related injury. As a medical toxicologist, he also studies the epidemiology of deliberate self-harm, including drug overdose and suicide. Andrew J. Kolodny, M.D. is the Chief Medical Officer of Phoenix House, a nonprofit addiction treatment organization and he is President of Physicians for Responsible Opioid Prescribing (PROP). Dr Kolodny was previously the Chair of Psychiatry at Maimonides Medical Center in New York City. Dr. Kolodny has a long standing interest in Public Health. Prior to his position at Maimonides, he was the Medical Director for Special Projects in the Office of the Executive Deputy Commissioner for the New York City Department of Health and Mental Hygiene. For New York City, he helped develop and implement multiple programs to improve the health of New Yorkers and save lives, including city-wide buprenorphine programs, naloxone overdose prevention programs and emergency room-based screening, brief intervention and referral to treatment (SBIRT) programs for drug and alcohol misuse. Art Van Zee is a primary care general internist that has worked in a Community Health Center in a small coal mining town in southwest Virginia since 1976. He became interested in pain and addiction issues when OxyContin brought a tsunami of opioid addiction into the coal fields in the late 1990s. Dr. Van Zee uses opioids liberally in treatment of acute pain, and the pain of a terminal illness, and very selectively for patients with severe chronic non-cancer pain. He has been using buprenorphine to treat opioid addicted patients since 2003. He is Board Certified in both Internal Medicine and Addiction Medicine. He authored “The Promotion and Marketing of OxyContin: Commercial Triumph, Public Health Tragedy” published in the American Journal of Public Health in 2007.